Take filters out, Turn the Spa on if the water level is correct, add 2 teaspoons into the Spa and run for 20 minutes with all jets open. Leave to rest for 10 minutes then run another 20-minute cycle. Empty the Spa and rinse down. Refill with fresh water and sanitizer ready for use. You will see the product getting to work straight away, lifting visible Biofilm to the surface of the foam. 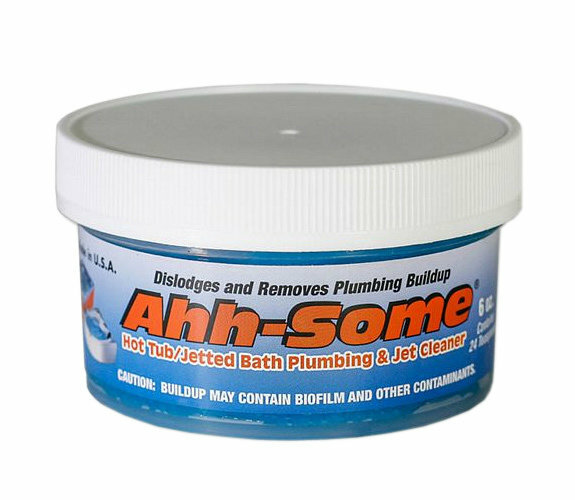 The beauty of this product is that it captures all the dirt from the pipes in the foam and sticks it to the edge of the Spa. Simply wipe away as you are draining and fill with fresh water. Recommended size for traders to make savings vs 57g retail pot.